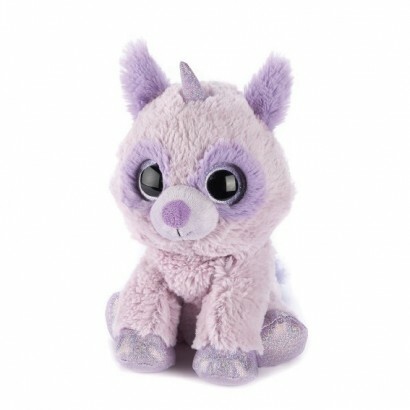 Soft and cuddly with wide sparkling eyes, this unicorn/raccoon hybrid gives the warmest of hugs on cold winter nights. 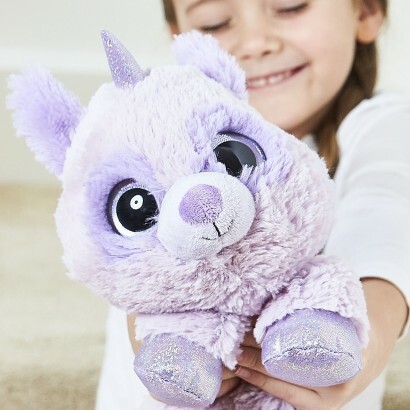 With soft purple plush and sparkling horn and feet, this super cuddly racoonicorn is filled with dried millet seeds and lavender to give the cosiest of hugs with soothing scents. 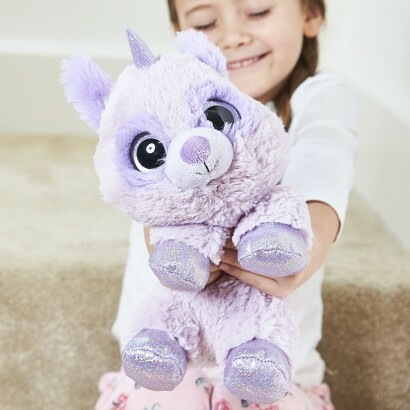 Simply pop in the microwave for up to 90 seconds and this adorable cuddly creature will fill your evening with warmth and snuggles, great for warmth on cold winter evenings, he helps to soothe away aches and pains and makes a great bed warmer too!